The timbers and decking used to create Threshold were salvaged from a one-story building that previously stood on the site of Rollin Street Flats. 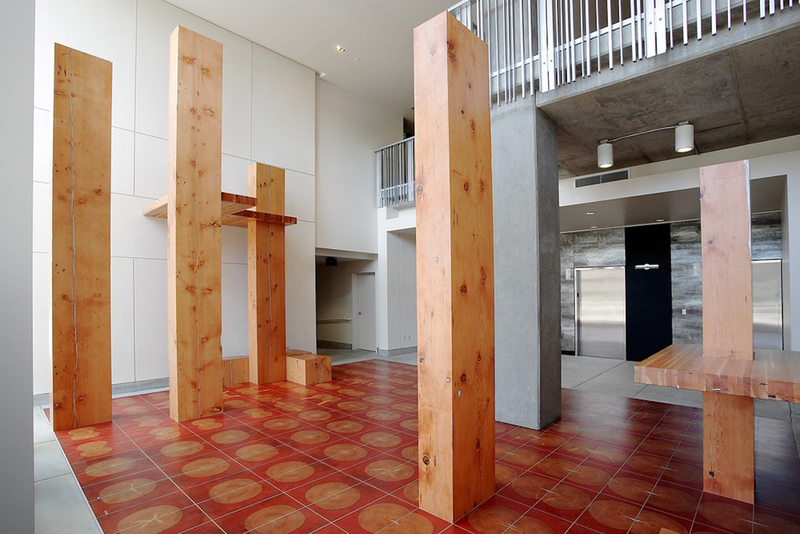 To highlight the history of this wood, the artist milled the 100 year old Douglas fir beams to make them smooth and true, and then patched their cracks, bolt holes, and other imperfections with tinted resin. The flooring tiles are slices from three of these beams; they are in sequence and book-matched to make the resulting pattern. 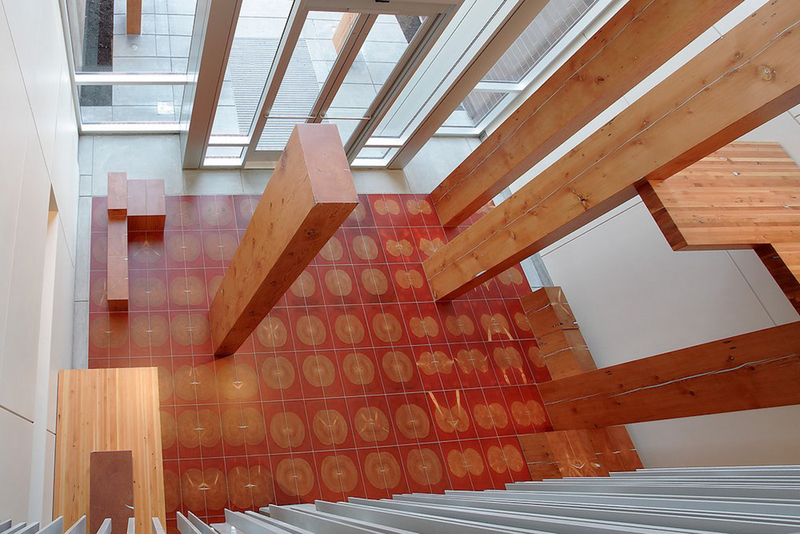 The standing timbers, floor tiles and decking in Threshold respond to the building's design, recall the material's former use, and allude to the landscape from which they were originally claimed.